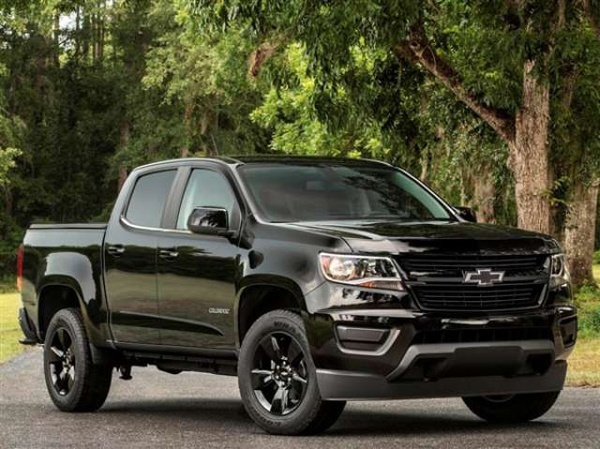 The 2018 Chevy Colorado a truck that is a bit smaller than their Silverado brothers, but a smaller truck also means more maneuverability and ability to get around the road blocks life throws your way. Being the smaller version, the Colorado will be able to take you to all those tough to reach places. The Colorado has a 21 gallon tank which is the perfect match to its gas mileage of 22 MPG in the city and an impressive 30 MPG on the highway. The Colorado is no slouch when it comes to towing capacity, with its 3,500 to 7,000 lbs range, which means this smaller truck still has a ton of strength under the hood! If you aren't into towing than perhaps the Colorado's horsepower of 181 to 308 will keep your focus on it. With all of that power you know you wont have an issue getting everything done, but while on the job why not keep everything fresh and stylish with your very own Colorado seat covers. Chevy's Colorado is a small truck, with a the look and feel of a bigger truck. The adventures that you end up on will constantly keep you surprised because you get a lot more with this truck than you do with your average little truck. Cruising down the highway to your local watering hole or just driving into the sunset, the Colorado will be able to take you to were you want to be, so why not keep your interior stylish and comfy by covering them with Saddleman seat covers, that style, that comfort and that durability really sets Saddleman's custom truck seat covers apart, Saddleman's custom seat covers come in each and every different seat styles this vehicle has to offer, each seat style is available in Saddleman's full range of fabric choices. Each fabric has its own set of color choices as well, so the decision is yours!